The NYOS was the glider flown by Didi Siglbauer to win the DHV-XC two years in a row. The success strategy behind this glider is entering its next phase with the NYOS RS! 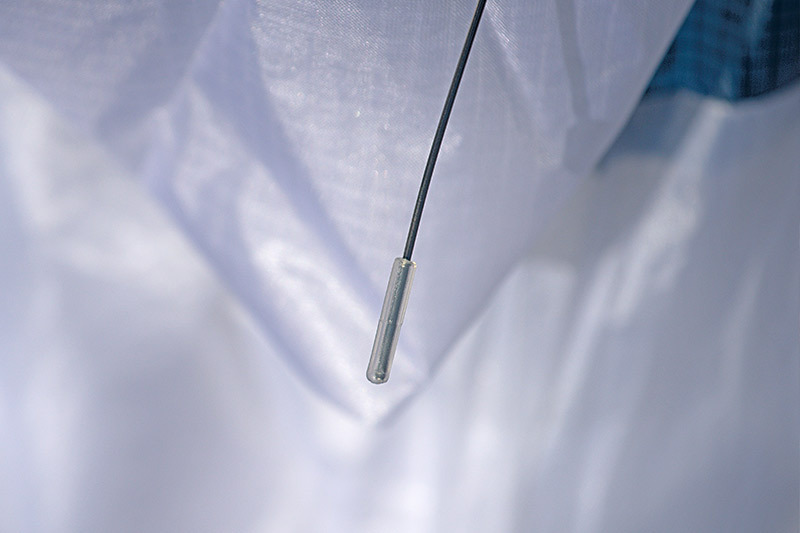 The main difference between the NYOS RS and the NYOS is the fact that it is much easier for pilots to tap into its performance potential because of the increase in stability and control. That’s what we heard most often from pilots flying the new NYOS RS during field testing. Yes, we can do that - and we have! There was minimal performance increase though since there is little room to improve glide and climb within the EN-B class. 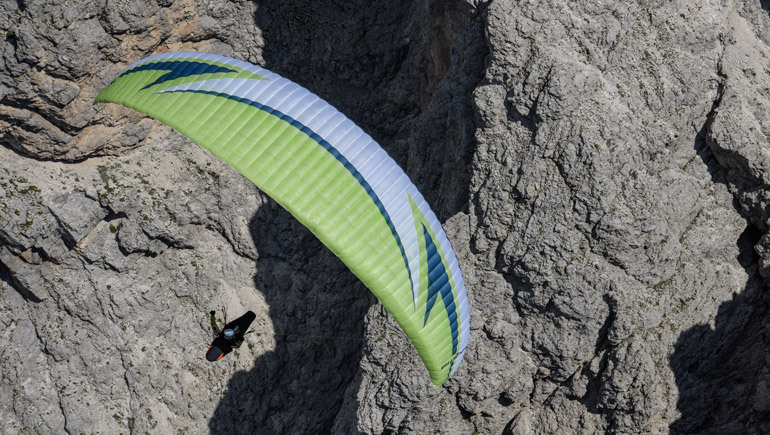 In our opinion and from what we have experienced, the NYOS RS is the easiest and most pleasant glider to fly currently available in the high end B category. The pilot stays in full control even in incredibly turbulent conditions, thanks to RAST. If there are nevertheless any disruptions, in the vast majority of cases, these are stopped by the “wall”. Dynamics, demands on the pilot and loss of altitude are often even less than with current EN-A gliders. The more turbulent the air, then the more marked the difference from gliders without RAST. When pilots flying gliders without RAST are already starting to notice unpleasant turbulent conditions, the NYOS RS continues to convey safety and a good feeling during flight. 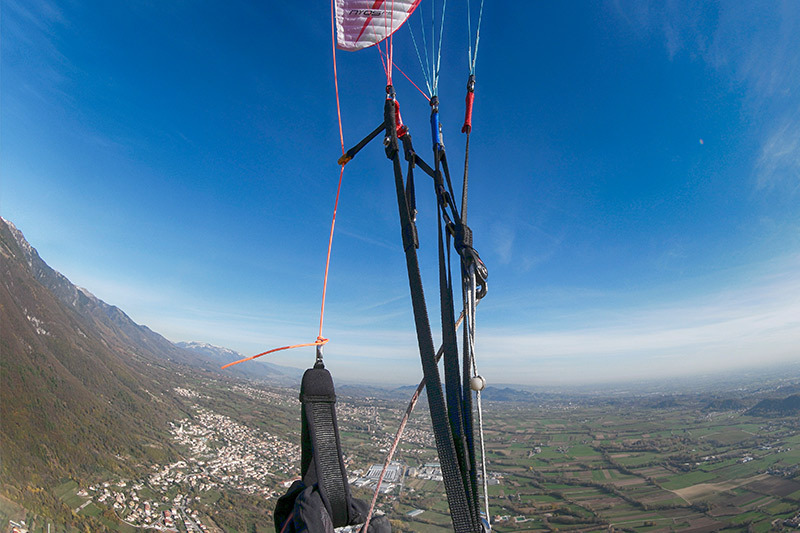 We are confident that there is no other glider available which matches its combination of safety, damping, performance and handling – making the NYOS RS the first in a new class, the comfort-performance class! The NYOS RS uses the latest generation of our bulkhead partition system with non-return valves and perfected tension distribution. A third level of tension is created above the pilot (in addition to the leading edge and trailing edge tension), providing a completely new feeling of stability. The NYOS RS is now brought into the EN-B performance class for the first time by this new RAST feeling, which you can read about in all test reports of other SWING gliders with RAST. It would be hard to get a more functional design of the RAST system under the certification requirements than we have with the NYOS RS. It was very difficult to provoke the collapses required for certification in the specified measurement field. The norm would have to be altered for even greater stability. Collapses across the wing chord and front stalls with great loss of altitude are extremely unlikely with the NYOS RS. We have not yet experienced any collapses or front stalls in actual flight where the folding angle was not reliably stopped by the RAST wall – and before the pilot was able to intervene. Our test flights and simulations are not carried out only over water. Particularly in testing RAST, we intentionally seek out challenging flying days in the Dolomites during spring and summer, so that we get findings under real conditions! 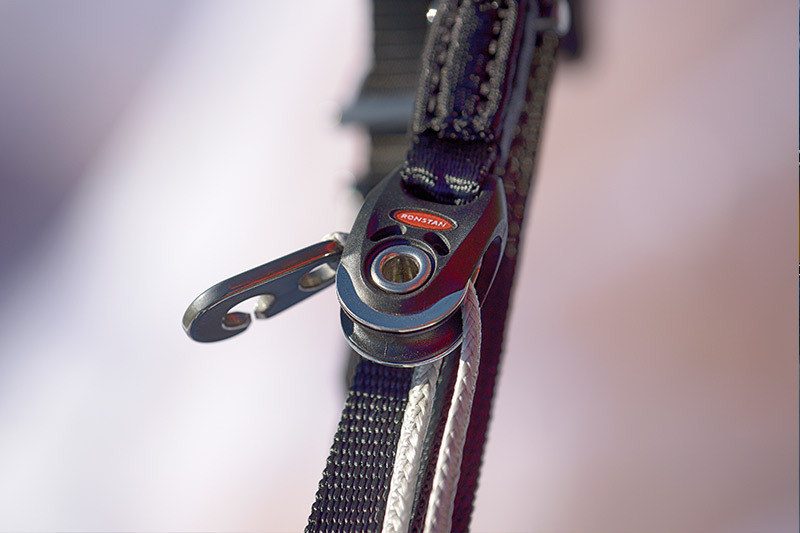 The result: it has never been so easy to use the full performance potential of a paraglider even in tough conditions – thanks to the 10 advantages of RAST. The leading edges need to have the most stable shape possible when it comes to maximum performance and stability, particularly at full speed. The disadvantage of traditional plastic stiffening is that it has a predetermined curve, which can reduce stretch in the leading edge. The solution is to use rods made from the high-tech memory metal Nitinol. These are inherently straight and stretch the leading edge like a drum, when fed into the guide channels. Nitinol is a nickel-titanium alloy used in medical engineering because of its dimensional stability, e.g. in dental braces, glasses frames and fixation devices. All leading edge reinforcements for the NYOS RS are manufactured from this quality material. This means that you neither have to pack up the NYOS RS painstakingly cell by cell, nor leave it unfolded if you are not flying for a long time. 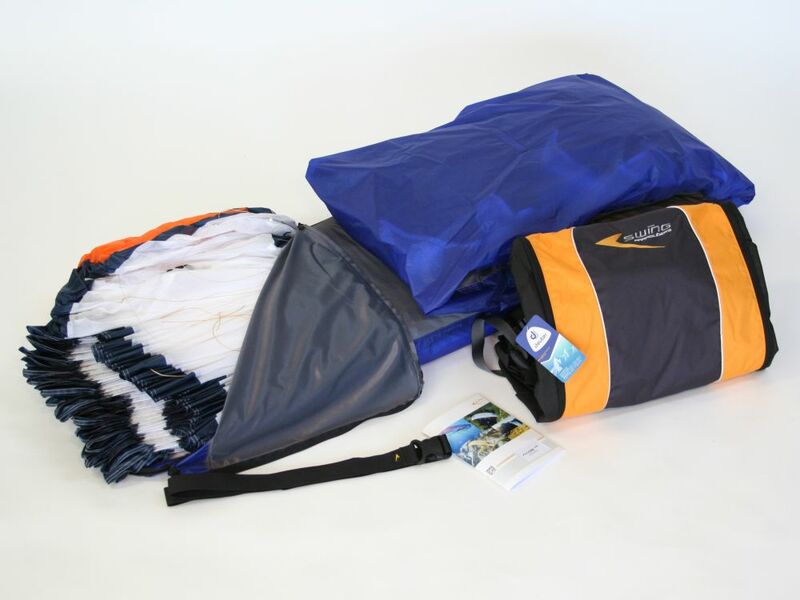 Simply roll it up, compress it firmly and you already have the pack size of a small mountain glider! 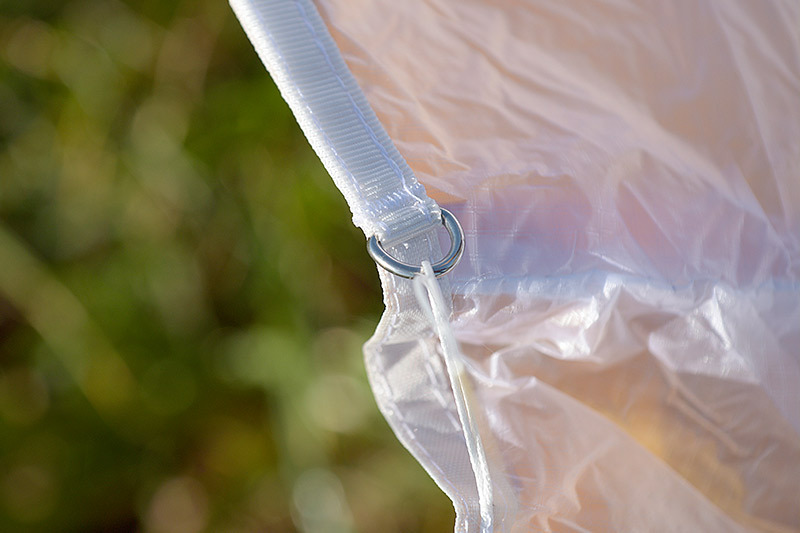 You can’t fail to notice the new glider fabric used for the NYOS RS. It is shinier, comes in a range of new colours and feels different to the touch from regular fabrics. 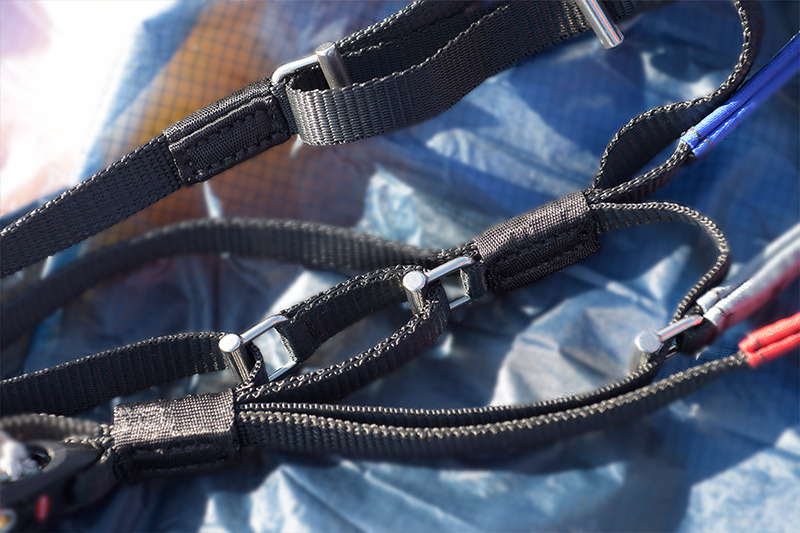 The material was developed in close collaboration with our supplier and was optimised for use in paraglider manufacture. 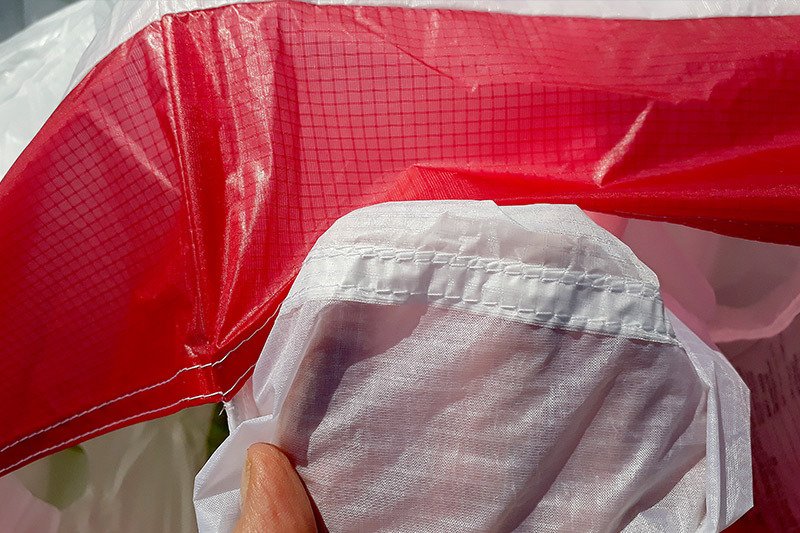 The new high-tech fabric is extremely lightweight and stands out because of its above-average form stability, tear resistance and durability. The profile of the NYOS RS is a logical refinement of the tried and tested Nexus profile. Most performance gliders fly best at the upper limit of their specified weight range. This is not the case with the NYOS RS: speed and performance are nearly identical across the entire weight range. The profile ribs and diagonal ribs have been made thinner, without weakening the strategically important load points. The diagonal ribs are sewn down along the cut edges (and through to the back in the C/D level) so that they stay the same length over a long time even in tough conditions. It’s not much help if a glider can fly fast but your kneecaps suffer in the process! That’s why we spent a good deal of time and energy on the risers for the NYOS RS. Minimal force is needed when accelerating and the full throttle position can be held for a long time without causing cramp. We had originally linked the C-riser steering with the B-level. In practice we couldn’t find any advantage to this with the NYOS RS: deployment force was too high and too much speed was lost on stabilisation. What has proved most effective is the C-bridge, where the wing tips and the centre section can be stabilised separately or together, depending on how the C-bridge is pulled. This is used in the NYOS RS and allows precise adjustments even at full throttle, without losing speed. We thought a lot about how to describe the NYOS RS as objectively as possible and without exaggerating. Anyone who has ever flown the NYOS RS agrees that the NYOS RS is incredibly simple to fly, particularly in turbulence and strong thermals, really fun, and you feel extremely comfortable with this glider. The NYOS RS is for us the ultimate comfort-race machine for your XC adventures! These features are all an invitation to experimentation and further development. 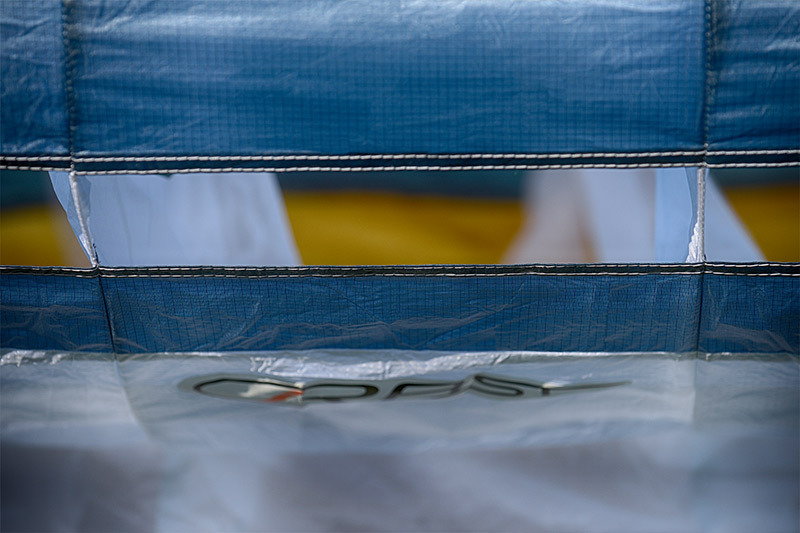 Be inspired by a test flight on the Nyos RS and experience the RAST feeling! Test fly the Nyos RS! Nachdem ich nun einige Flüge mit meinem Neuen Freund absolviert habe, muss ich mich unbedingt bei Euch melden. Das ist das BESTE Gerät, das ich in 26 Jahren Gleitschirmfliegen pilotieren durfte!!! Ein derart komfortables und gleichzeitig spritziges Handling waren mir bisher fremd. Dazu diese unglaubliche Stabilität, einfach unfassbar!!! Vielen herzlichen Dank und Glückwunsch an das komplette Entwickler-Team und den Mut für Neues und Innovation. Bassano, endlich war es soweit und ich konnte den Swing Nyos RS M (92-105kg empf.) Probefliegen. Ich hätte nie gedacht oder annähernd erwartet, das ich auf Anhieb mit diesen Schirm so gut zurecht komme. Die Starts waren auffallend einfach und ich habe mich gleich sehr wohl gefühlt unterm Nyos RS. Die Bedingungen waren turbulent und genau dies stellte sich als seine Spitzendisziplin heraus. Aufgrund der Gegebenheiten, musste ich manchmal schmale und ruppige Thermikschläuche nutzen. Mit dem Nyos RS konnte ich diese exakt zentrieren und gut aufsteigen. Die Turbulenzen hat das RAST-System sehr gut absorbiert. Mein Vorhaben, Strecke zu fliegen, konnte ich gut umsetzten und es war eine lehrreiche Erfahrung für mich.
Das Handling war bei den turbulenten Bedingungen auffallend energiesparend, direkte Steuerung und die Thermik war gut zu spüren am Schirm. Der Nyos RS ist wirklich ein sehr gut gelungener Gleitschirm. 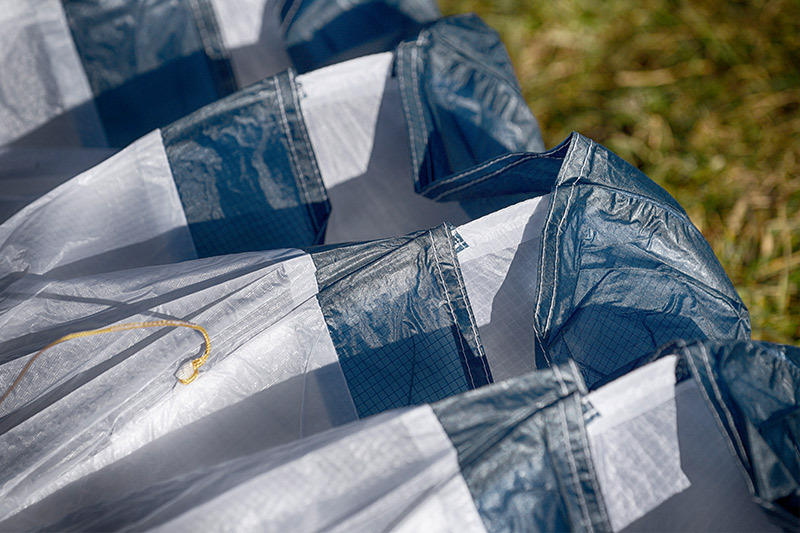 Ein großen Lob an die Entwicklung und Danke Swing Paragliders für dieses Erlebnis. The NYOS RS is a paraglider that combines excellent performance with the comfort of a cigar lounge armchair. The high sense of solidity in turbulence transmits great confidence inspiring the desire to continue the flight, while the excellent performance and handling gives the possibility to do so without renouncing anything. It is not a wing for beginners, but the very high level of comfort and safety makes it suitable even for very relaxed weekend-pilots. I had a nice flight the day before yesterday (109 km) and it was amazing relaxing. Conditions: mostly very week, no wind – sometimes very strong, extreme tight thermals. The Nyos RS is even in turbulent und strong conditions very easy to circle. I waited for some “RAST”-demonstrations – but the glider did only very little pitch / surge and so no collapses until yet. Yesterday: I launched 30-60 min later than 3 top-pilots on Zeno. I overtook 2 of them before Bingara/ km 90 from Mt. Borah (except Hans Bausenweis – he was 10km in front). Behind Warialda I had to follow the retrieve car on a not optimum route – so at the end “only” 213 km in 6 hrs. More and more I do not much in strong turbulences – it is enough just to hold the direction or circle I want.Performance in climb is very competitive (with all other gliders). Having only flown the 2016 Swing NYOS for a couple of months before this competition, Poliglide gave me the opportunity to use the new NYOS RS at the Wings Out West Tow-launch cross county paragliding competition in Trundle, NSW. This was my first ever competition. On launch, whether it was a forward launch in nil wind, or a reverse launch in 10-12kts, the RS came up perfectly evenly every time. In the breezier launches it was noticeable how much less the glider pulled me back compared to my "non-RS" wing. In flight the wing felt very solid, provided good feedback and required minimal input to get through messy air. I found entering thermals easy and also found it relatively easy to control my turns to effectively centre the thermal. At one point during the third task, I entered an 8.8m/s climb... rapidly shooting up from around 1700m to 2700m at which point I applied big ears and full speed bar to exit the thermal before hitting the ceiling. The wing was well behaved and totally manageable even in this very roudy air. Before this competition my longest flight was 10km, my new PB is 77km in goal.... and could've flown much much further! I have nothing but good things to say about the NYOS RS, and am very grateful to Poliglide for the opportunity! If you haven't tried a wing with RS I highly recommend it. I have been in a competition in a very dry place near Manila. I experienced 8.5ms climbs in the NYOS RS. I have experienced severe turbulence, and now with 20 hrs in a large range of conditions im positive it is a smart choice for the XC pilot wishing for relaxed flights. I had 1 frontal as I was on tow at 200ft off the ground. Only the LE collapses and the rest stayed open. Zero turns as the glider was collapsed in the middle. Instant reopen and I released from the tow and climbed to cloud base and flew 98.8km. Took off at 3.30pm and landed at 7pm I have many other great experiences.